The greatest damage the terrorists could ever inflict upon us is disarmament at the hands of the political elites. But we will never offer our right to survive as a fool's ransom to the world's killers. The National Rifle Association fights for the protection of these liberties. The NRA is Freedom's Safest Place. NRA News Cam & Company with Cam Edwards had me as guest talking about the series premier of I Am Forever, first episode, If You Can Keep It...and the purpose of the series. Yesterday, Wayne LaPierre gave an important message on how to stop violent crime. Stand And Fight! Finding your natural point of aim (NPA) is one of the most important aspects of downrange accuracy. The goal of NPA is to eliminate muscular tension that can affect your downrange accuacy. In this episode of Tips & Tactics, sponsored by Cabela's Outdoor Fund, Kristy Titus explains the process of testing your natural point of aim with a rifle, and Gabby Franco follows up to explain that the same can be done when shooting a pistol. 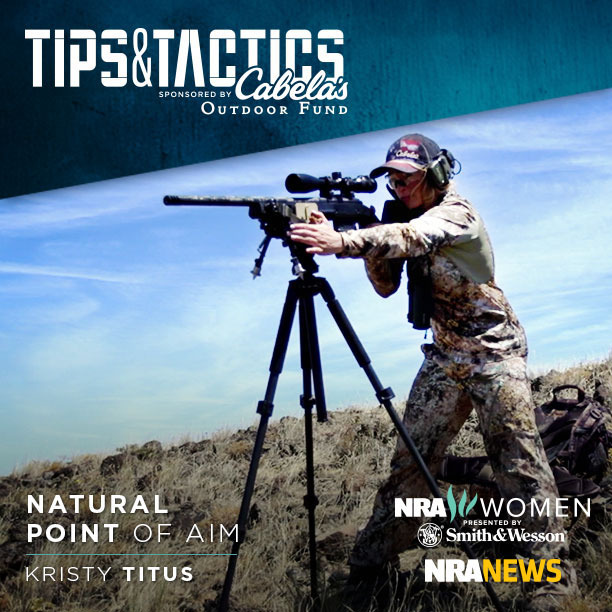 Bend, Oregon (September 17, 2015) – Kristy Titus, NRA Certified Instructor and Cabela’s Ambassador, is now working with NRA Women TV on their “Tips & Tactics” online video series. 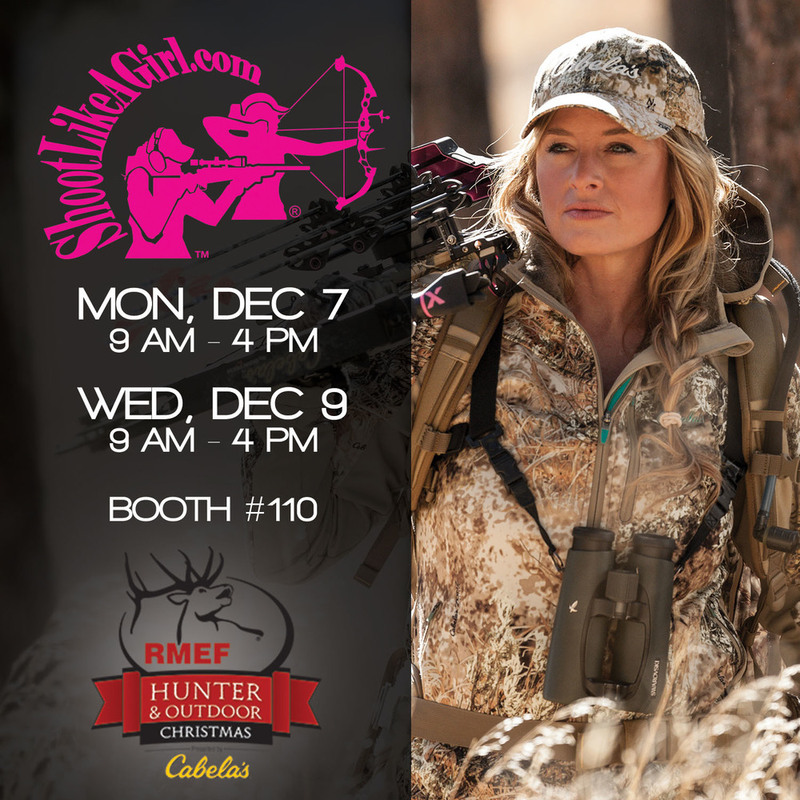 Titus is offering her best tips to help women prepare for their first hunt, or new tactics for their hundredth hunt. The video series kicks off on NRA Women TV today for a series of six videos. The first video now available is “Preparing for a Hunt.” Visit http://www.nrawomen.tv/tips-and-tactics/hunting each week for a new video from Titus. Upcoming videos include “Sight Picture,” “Natural Point of Aim,” “Positional Shooting” and more. Visit http://www.nrawomen.tv/tips-and-tactics/hunting each week between now and the end of October for a new video. Kristy Titus provides insight that will give you the physical strength and mental fortitude to tackle even the most difficult of hunts. In this episode of Noir, "Life Beyond The City," Colion steps out of his element and into the great outdoors of Washington state with Kristy Titus. Then, Darren defines the Second Amendment from a hunters perspective and Colion and Kristy put their hunting skills to the test on a course designed by Caylen Wojcik, Director of Training for Magpul CORE. NRA Women’s Channel is designed for lady gun enthusiasts and is a tremendous resource for women to receive news, education, event information and more. And the NRA is telling stories of empowered women. The NRA invites you to come explore NRA Women’s Channel, to explore, connect and unite with the women of the NRA. Kristy is honored to join the team of NRA Tips & Tactics instructors. Sponsored by Cabela’s Outdoor Fund, this is an interactive site where you can view training videos, anywhere, from professionals on marksmanship, hunting, self-defense and competition. In addition to NRA Tips and Tactics, the NRA Women’s Channel features Armed & Fabulous, detailing the stories of women that have dedicated their lives to protecting our second amendment and they are the definition of armed and fabulous. Love At First Shot, hosted by Natalie Foster, this is the NRA’s newest series providing a first-hand look at the shooting sports for the first timer. NRA New Energy, where you will meet the faces of the NRA who are making a difference. Learn how to better protect yourself and your loved ones with these safety strategies. If you’ve been in a situation where you refused to be a victim, let us tell your story on NRA Refuse To Be A Victim.